When it comes to mastering programming for the Raspberry Pi, there's no better way to learn than by doing. And this course bundle has you doing a ton of cool stuff, going from beginner to building robots in eight courses. Get the Raspberry Pi Mastery Bundle for $34 at Escapist Deals. Get lifetime access to eight courses.You don't have to know a thing before you get started - the lessons will take you through the basics of Python, simple Linux commands, and the fundamentals of the programming for the Raspberry Pi. You'll learn automation techniques as you control AC appliances, you'll build a motion sensor-based teddy bear, you'll build a robot you control through the Pi, and, by courses' end, you'll build a complex robotic arm. Get hands-on training working with the Raspberry Pi. 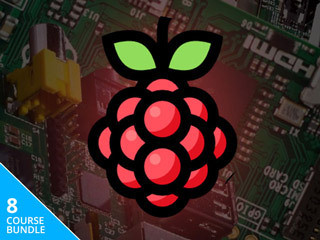 Get the Raspberry Pi Mastery Bundle for $34 at Escapist Deals.